If you’ve ever sparred in a boxing ring, then you’ll probably remember how fatigued your calves were during the first few sessions. This is one of the reasons we’re going to show you different ways on how to build calf muscles at home. Some of the most effective calf exercises can be done at a very low cost or in some cases no cost, it also doesn’t require any large or fancy equipment or machinery which is why it can be done at home. Having strong leg muscles are probably the most important muscles for boxing and many other sports as power comes from the legs. If you already understand the importance of having strong calf muscles for boxing then you can skip straight to calf exercises at home, where you can find various calf strengthening exercises. 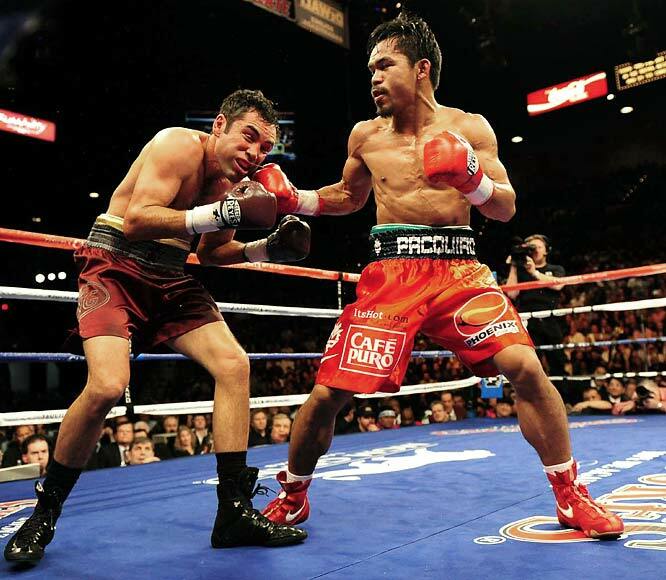 Not many people are aware of this but a lot of the power from your punches actually comes from the leg muscles. 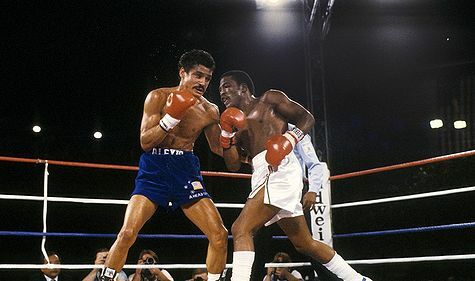 A prime example of a boxer with big punching power is the legendary Alexis Arguello from Nicaragua whose nickname is “The explosive thin man”. His professional boxing record stands at 77 wins, 62 by KO and a lot of those knockouts are due to his powerful leg muscles, but as his nickname suggests he was thin up top but still explosive. Knowing how boxing punches are thrown will also help you understand that most punches start from your feet meaning power comes from the ground. Gaining punching power is not the only reason why you need strong calves, it also helps with your footwork, endurance, punch resistance and balance. Footwork – As boxing movement involves a lot of pushing of the front and back foot, strong calves adds more explosiveness enabling you to move in directions quicker without your calves getting as tired. Endurance – When boxing you have to be on the balls of your feet most of the time, as this allows you to move around on your feet quicker. This requires more strength from your calves, if your calves start to fatigue then you’ll become flat footed which results in slower movement. Punch resistance – Your ability to take a punch requires you to have a good chin but when a good punch lands you usually notice the legs of the recipient buckling. Although you can’t train your chin, training your neck and leg muscles can slightly help with your punch resistance. Balance – Strong quad and calf muscles equals a stronger foundation, if you have a strong foundation you’re less likely to be off balanced. Many people believe that how big your calves can get is down to genetics, so just because you have small calves it doesn’t mean you don’t have strong calves and vice versa. Some of these calf strengthening exercises do not focus purely on your calves, so you’ll benefit from gaining other attributes from them as well. In our opinion the single leg calf raise is probably one of the most effective exercises which solely targets the calf muscles. This video will show how to correctly perform the single leg calf raise. For this you’ll need either a platform such as some stairs or something similar to an aerobic step. Stand on the platform on the ball of your foot and hold onto a handrail or something else for balance with one hand. Your other foot shouldn’t be touching anything other than air. Lower your heel then push up as high as you can on the ball of your foot, so your heel is as high as it can be. Hold this position for about a second so you can feel the burn. Repeat these steps, and then do the same for the other leg. Aim to do around 4-6 sets of around 30 reps according to your own strength. Probably the most common and a must exercise when it comes to boxing training. Grab yourself a skipping rope if you don’t already have one as you should get plenty of use out of it. For those who have not held a skipping rope since your primary school days then our skipping for beginner’s tutorial will get you started. Skipping requires you to jump up and down bouncing on the balls of your feet, so this tones up and builds endurance in your calves. It also improves your footwork, cardio and tones up other muscles. Very common for footballers or rugby players to use the agility ladder as part of their training routine, but boxers can also benefit from using it too. The calf muscles do get a bit of a workout with this but there are other more noticeable agility ladder benefits. One of the most common agility ladder workouts is called the in & out, so this would be for that workout. Lay the ladder on the ground so it’s fully stretched out. Stand at one each of the ladder so you’re facing the side of the ladder. Say if you’re moving left, the left foot goes in the ladder first, followed by the right foot. Then the left foot comes back out of the ladder but diagonally so you’re in line with the next box on the ladder. Now the right foot comes back so it’s next to the left foot. Repeat these steps until you get to the end of the ladder, then do the same in the opposite direction. This builds explosive power in your legs which is what a boxer needs, box jumps can be performed on a plyometric box or something similar. Although more emphasis is put on your quadriceps, as you’re springing on top of the box, power is also required from your calves. Start by using a lower box such as 12 inches until you get the technique right. Position yourself so your feet are about 6 inches away from the box. Bend your knees and push your bum out, lean forward slightly but keep your back straight. Pull your arms back and swing them upwards when you jump onto the box as it helps you with your upward motion. Land on top of the box but squat down as you land to work your quads. Step up fully from the squat position. Jump back down the box without turning around so you can quickly repeat these steps. Once you gain confidence increase the height of the box for a bigger challenge.